Over the years I’ve become a fan of Apple’s Logic Studio (which I use at work) and Logic Express (which I use for personal projects.) They’re both pretty powerful applications for audio engineering. We’ve done a lot of good stuff with these apps. About a year ago I tried using Apple’s Migration Assistant to move a user to a new Mac. There was some failure, mainly involving Final Cut Studio. I ended up having to call Apple and finally talked to a guy who straightened it out (it was serial number issues) and pretty told me to AVOID using Migration Assistant for Apple’s Pro Apps (Final Cut Studio, Logic Studio, Aperture.) He told me it doesn’t work… usually due to how the installs bind to the hardware of the machine, or something like that. I finally got Migration Assistant to work really well on my last Mac move. Everything seemed fine. All of my applications, settings, etc. appeared to be in working order. All except for Logic Express 9. But finally… I fixed it! I ended up watching Console.app for a while when trying to launch Logic, and saw that it was trying to launch /usr/sbin/AELWriter which didn’t exist. I copied /usr/sbin/AELWriter to my new Mac from the original Mac I migrated from, and also copied /Library/LaunchDaemons/com.apple.aelwriter.plist as well, and we were back in business. 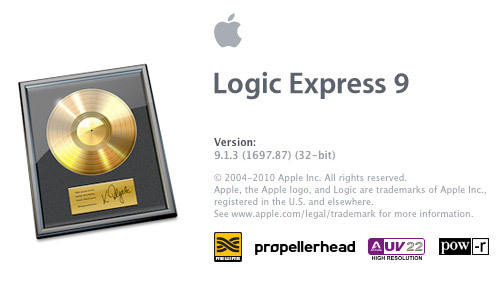 Logic Express launched, asked for a serial number, I provided it, and it’s running right now. Posted on Sunday, December 12th, 2010 at 12:19 pm. Subscribe to the comments feed. Both comments and pings are currently closed. Post on your own blog.